When people go vegan, it’s not just their diet that gets a complete makeover. Most vegans would agree that their choice be vegan extends far beyond their plate into a total transformation of lifestyle. Veganism begins with a choice to do no harm to animals which turns into decisions about what shoes to wear, what makeup to buy, and even what amusement parks to attend. These choices can give a sense of purpose in one’s new lifestyle and a passion for living cruelty-free. However, the challenge extends far beyond fashion choices and leisurely activities. The unexpected challenge that arises for many vegans is when they enter the dating scene. Finding a sense of local community with other vegans is hard enough, and when you expand that search to include potential lovers, it can be overwhelming. Is it crucial to a relationship’s success and longevity to seek out a vegan partner? If one does choose to narrow their search for a companion to only other vegans, where would that search begin and what avenues are available to find singles to meet? If you determine your future relationships don’t need to be solely with vegans, what may that look like and what difficulties can arise? Many people consciously or subconsciously seek out companions with similar perspectives and values. When searching for a partner to spend our days, our meals and our lives with, it makes sense that one would seek out a partner that has some of the same core beliefs. When it comes to fundamental beliefs to share, that of living a vibrant lifestyle that does not rely on the death of living beings is a reasonable one for vegans to want to share. Finding a vegan partner easily eliminates dining challenges and ensures that your partner understands where you are coming from when making choices that are out of step with societal norms. A vegan partner also can share one’s love for animals and a passion to save their lives and create a better world. Some would argue that there is no higher relationship goal than a shared vision fueled by passion. So, you’ve chosen to pursue a vegan partner, where do you begin? Starting locally is the norm for singles dating but offers a challenge for those with specific lifestyle preferences such as veganism. When searching your town for vegan singles, health food stores are a great starting point. Many health food stores have community boards where local events such as potlucks, conventions and club meetings are posted. Finding a local vegan meetup is a great way to seek out like-minded people with the potential to date. Another great option for the adventurous person is going to local vegan restaurants and introducing yourself to the staff and customers. It takes some courage and an intuitive reading of body language but offers a great resource for finding vegan friends and potential companions. If finding vegan singles locally is not an option, the internet offers a variety of resources. In days past, internet dating was considered a taboo, yet in the modern era of big dating websites and phone apps such as Tinder and Bumble, those days have been left in the past. There are a plethora of websites and apps dedicated to dating, but most do not have specifications in seeking singles living a vegan lifestyle. Luckily, there are a few gems in the world of online dating geared specifically towards vegans. The dating website Green Singles has all the common features of a standard website but the audience it caters to is the key. This website was uniquely created for vegetarians and vegans, those as it states that are conscious individuals, interested in human and animal rights, care about social justice and sustainable living. Green Singles works by creating a dating profile that includes essay questions, match questions, and dating preferences and is searchable to find local or international love. This website is the perfect option for someone looking to use a more traditional dating website without having to screen every potential match for their dietary and lifestyle preferences. If a dating website is not your style or is a bit more involved than you would prefer to get, there is a vegan dating app that may be your cup of Matcha. Marketed as “a plant-based app for plant-based eaters.”, Hunny Bee is a great free option for vegans seeking other vegans to date. It works similar to the popular app Tinder, as you are presented with potential matches and get to “like” or “pass”. If you “like” a potential match and they “like” you back, it’s considered a match and you have the ability to message them in the app. This dating app is a great option that is easy to use, very simple, and a wonderful resource to unearth the vegan romance you desire. Given the challenges one faces when finding a vegan companion, the question may arise, is it worth it to seek out a vegan partner? The merits of dating a fellow vegan are obvious, so what are the merits of dating a non-vegan? It’s less the about the benefits of dating a non-vegan and more about the specific connection and compatibility one has with another person. While it is true that veganism extends far beyond one’s diet, it is also true that it is possible to have common interests and life views outside of veganism. It takes honesty, communication, and an open heart, but a relationship with a person who is not vegan is possible. Life occasionally presents people that you connect within a unique, remarkable way that can be worth the extra effort in understanding their perspective. While pursuing a relationship with a non-vegan, it is valuable to remember that veganism is a lifestyle based on compassion for all living beings, and we can extend that to our fellow human beings wherever they are on their life’s path. It is also wise to remember that we cannot enter into a relationship with a non-vegan assuming they will eventually change their eating habits. Therefore, these relationships must be entered into presuming nothing, other than two people seeking connection. The time has never been better in the history of veganism to find a vegan companion. With veganism on the rise and the use of technology, one has the tools to seek out like-minded individuals in search of romance. 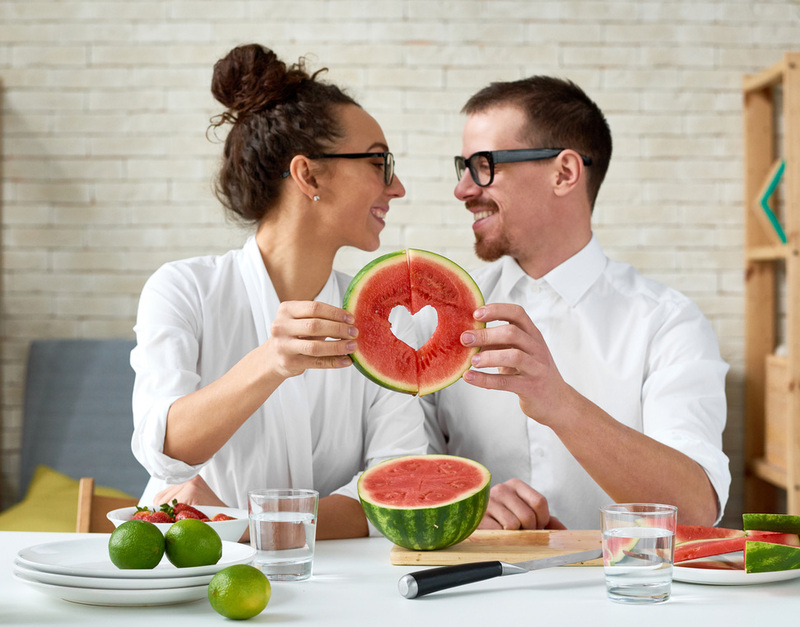 The most important factor in dating is determining what is important to you in a future partner and what role veganism plays in your life and daily decisions. It is completely possible and understandable to seek out a vegan partner, just as it is to seek out a non-vegan partner. When we make compassion our guiding principle in our diet, it is easy to extend that to all areas of lives, dating included, and make choices that enable us to live our lives in love.